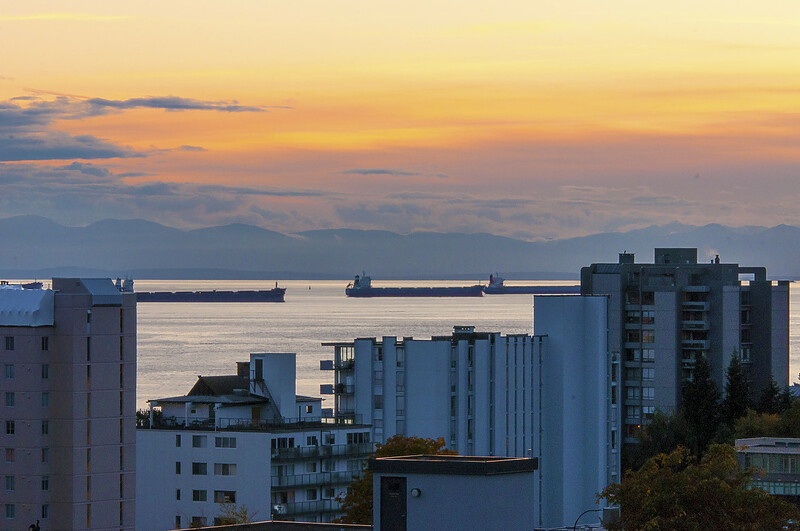 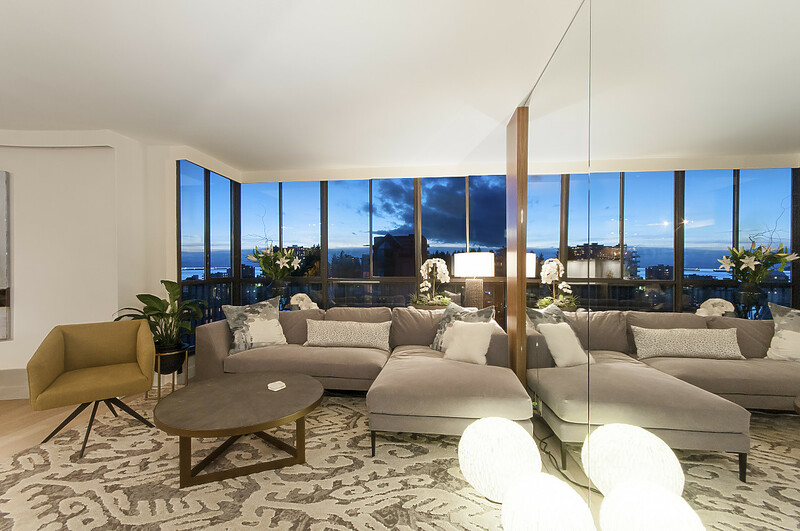 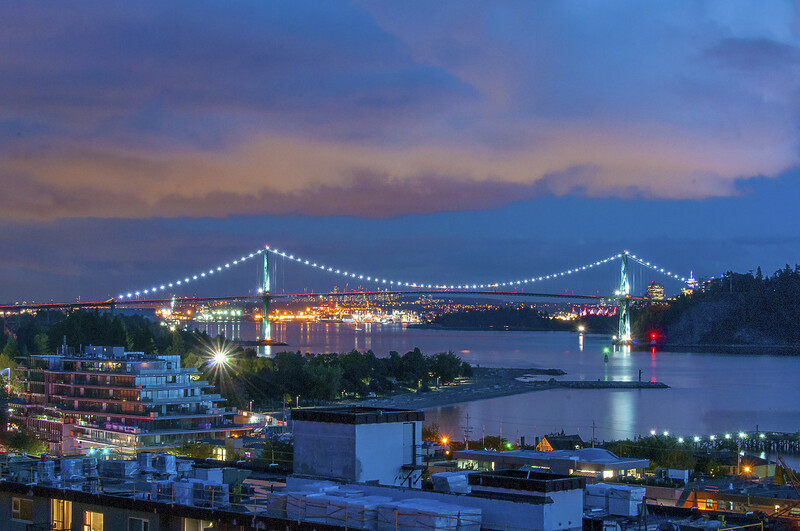 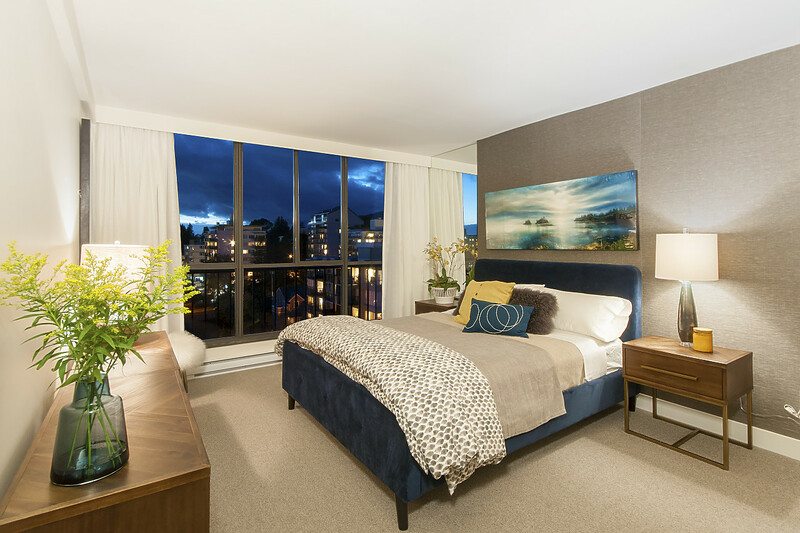 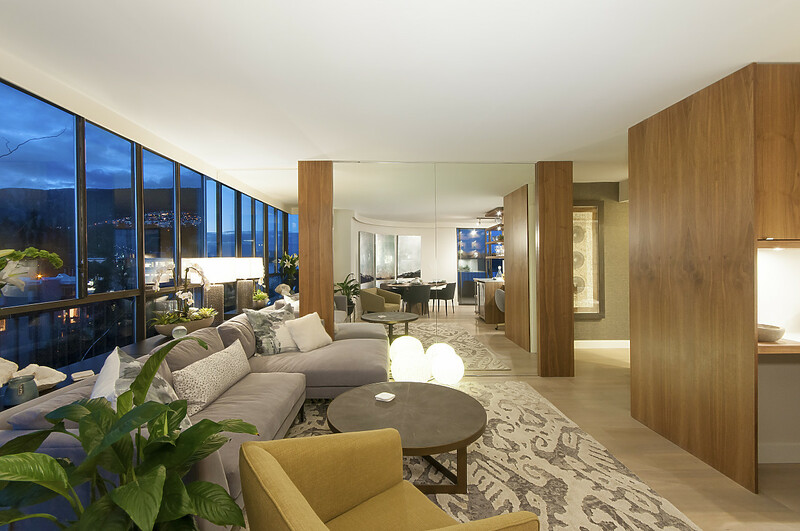 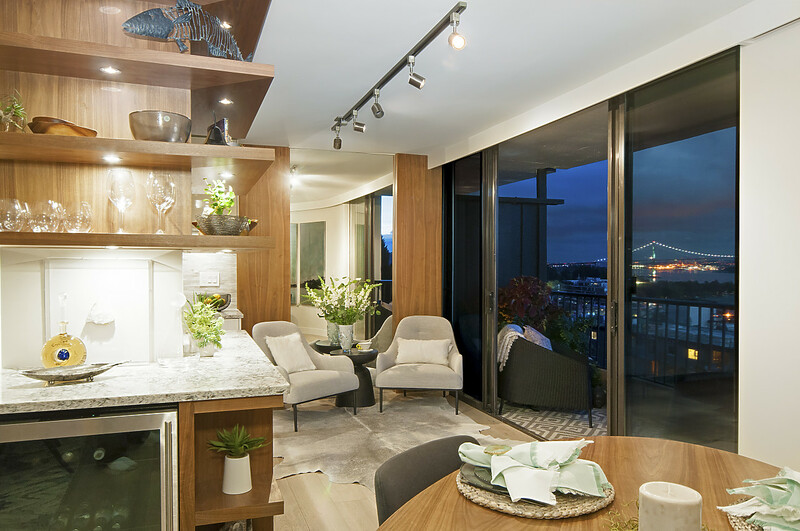 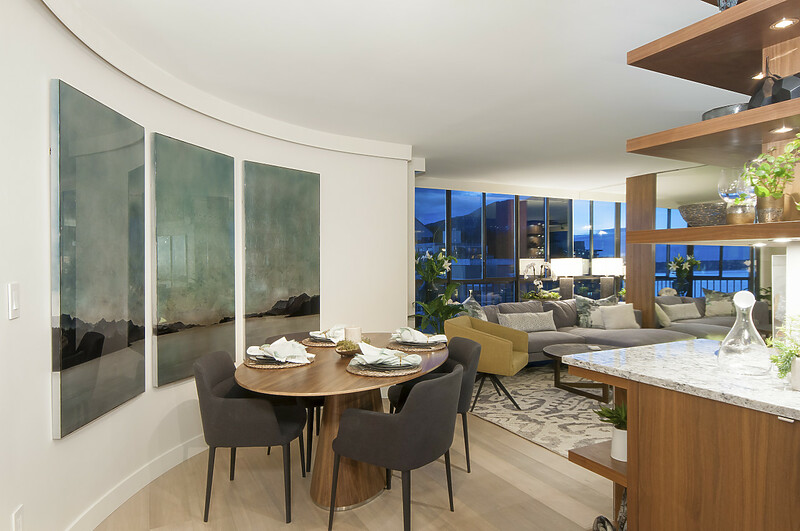 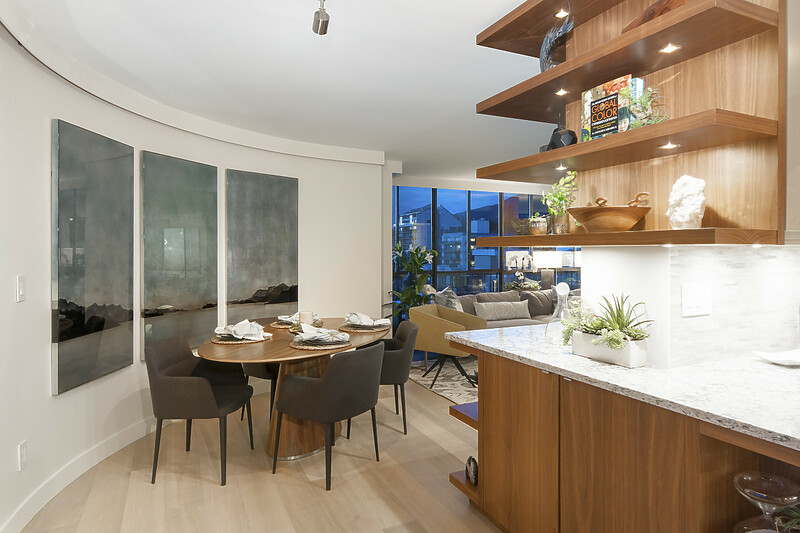 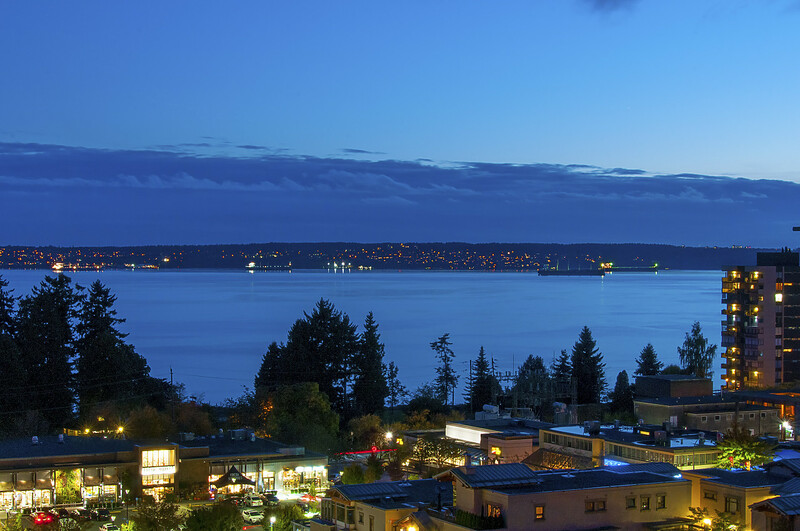 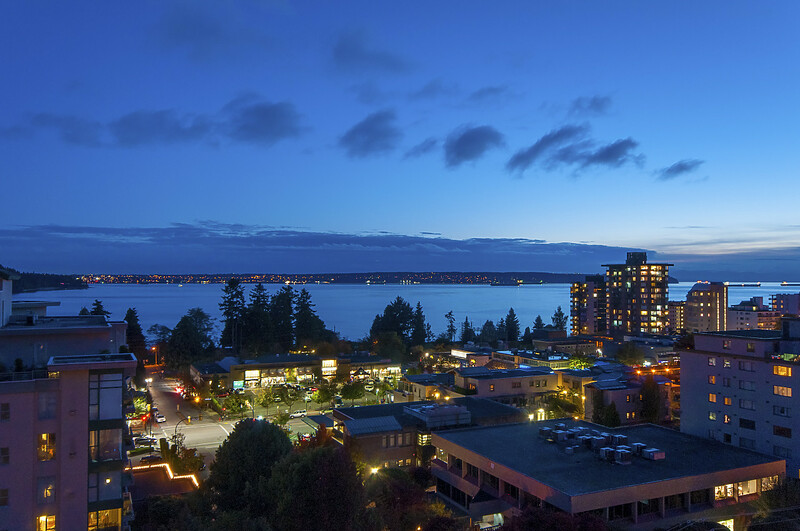 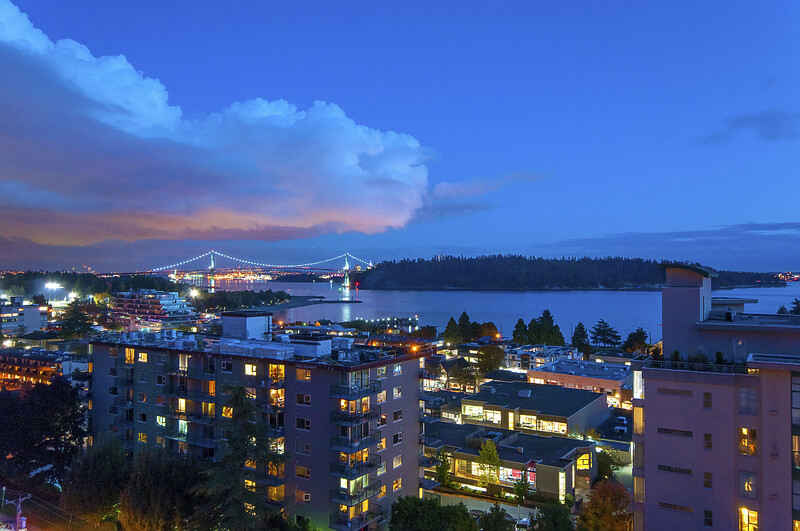 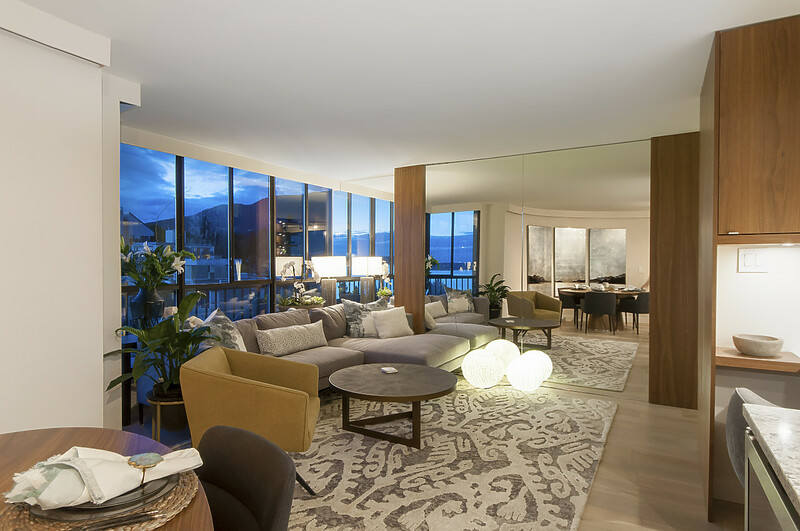 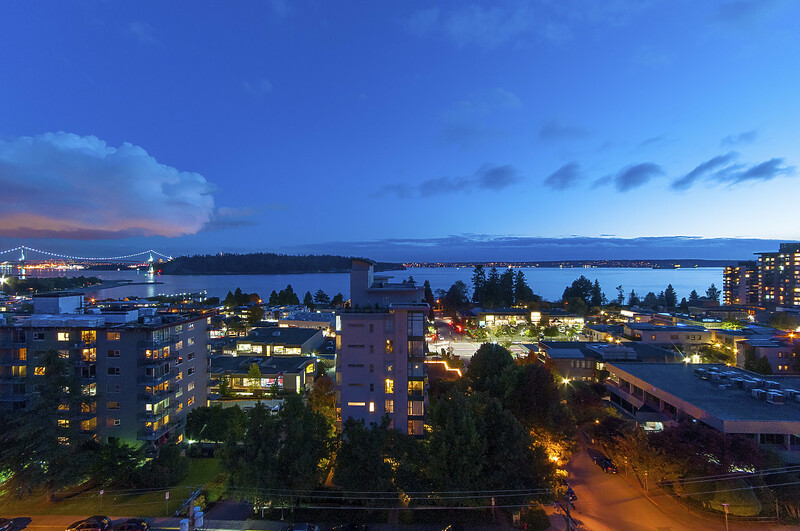 SPECTACULAR PANORAMIC VIEW CONDO BY PARKER HOUSE DESIGNS! 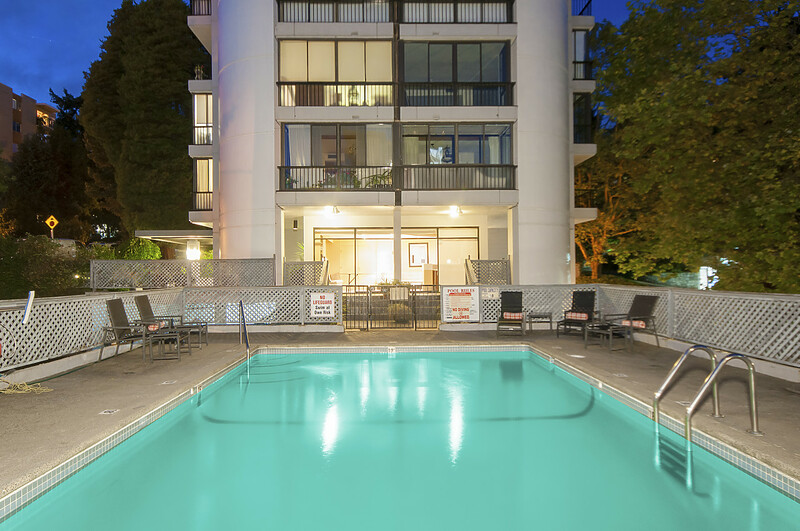 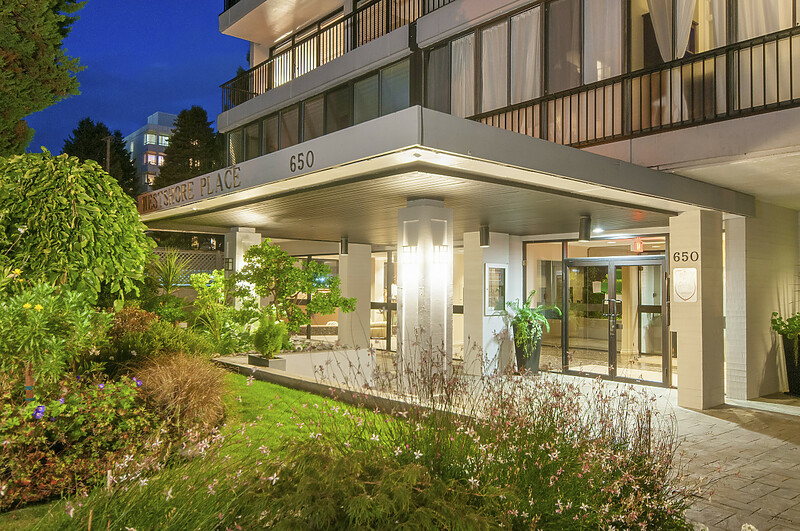 Desirable Ambleside location within walking distance to all amenities with stunning panoramic views of the city and harbour backdropped amongst snow-capped Mount Baker to the south and extending west to Cypress Mountain. 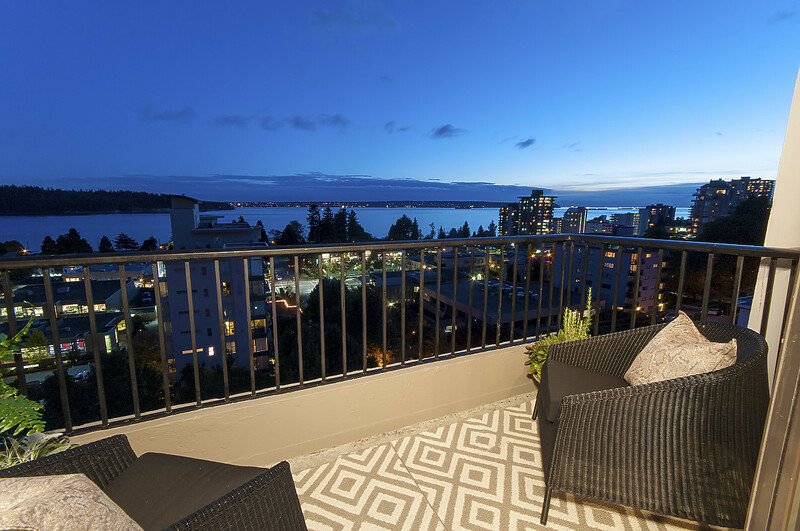 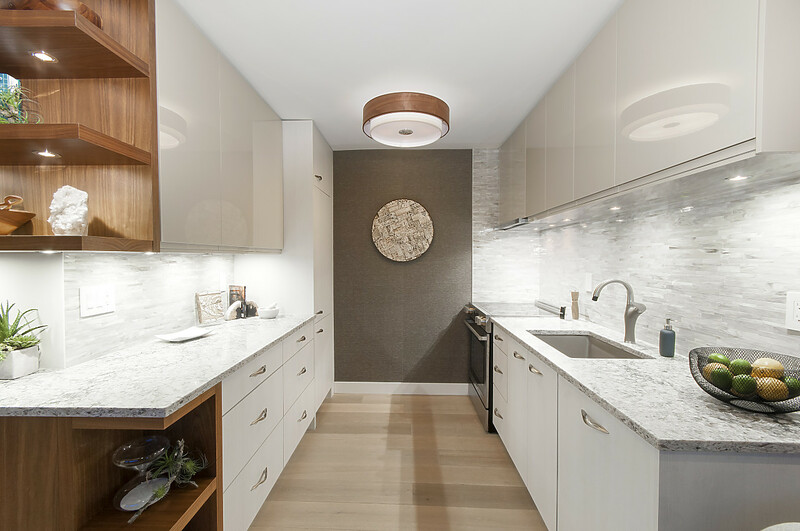 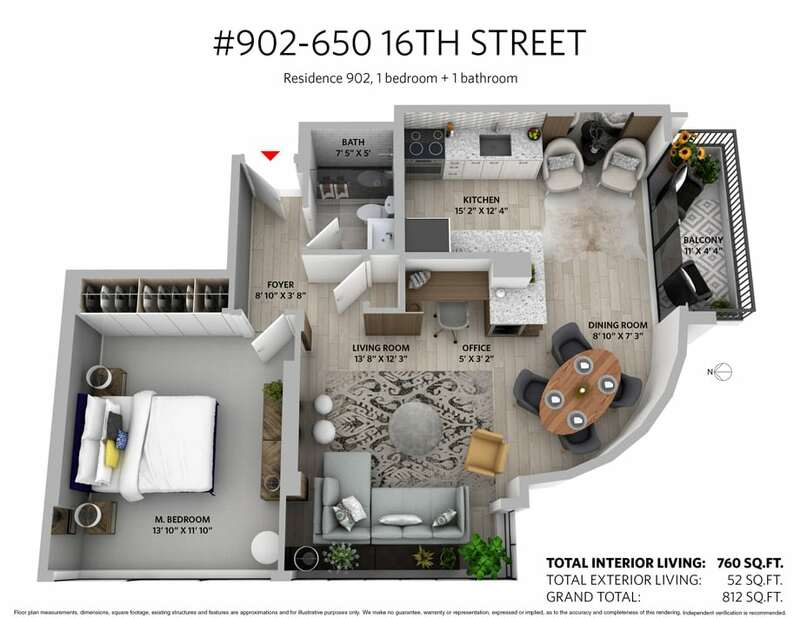 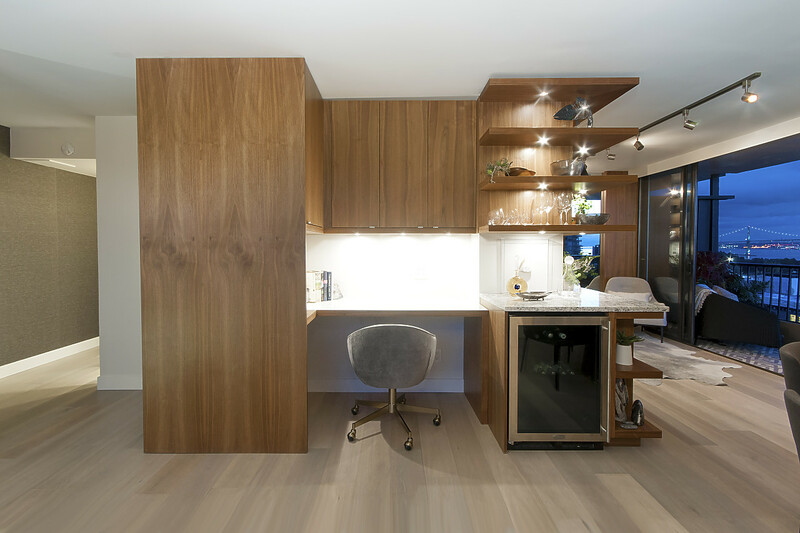 A rare opportunity to have a completely renovated and furnished one bedroom condo that was professionally designed by award winning interior designer Susan Parker of Parker House Designs. 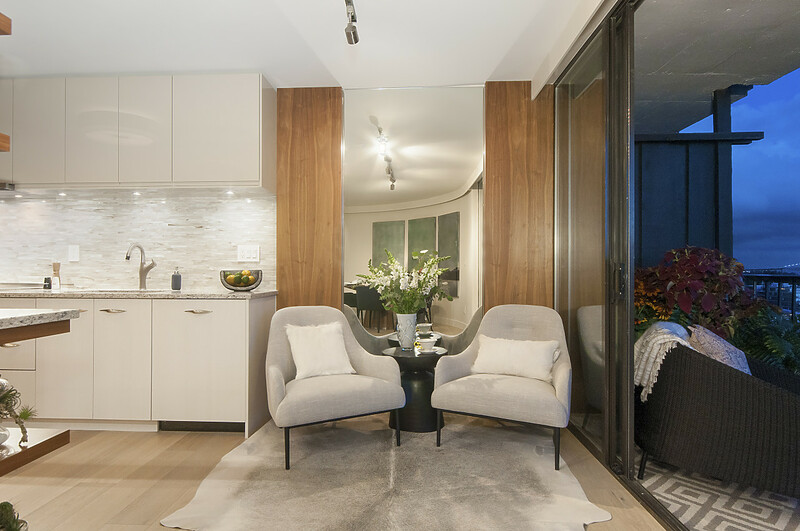 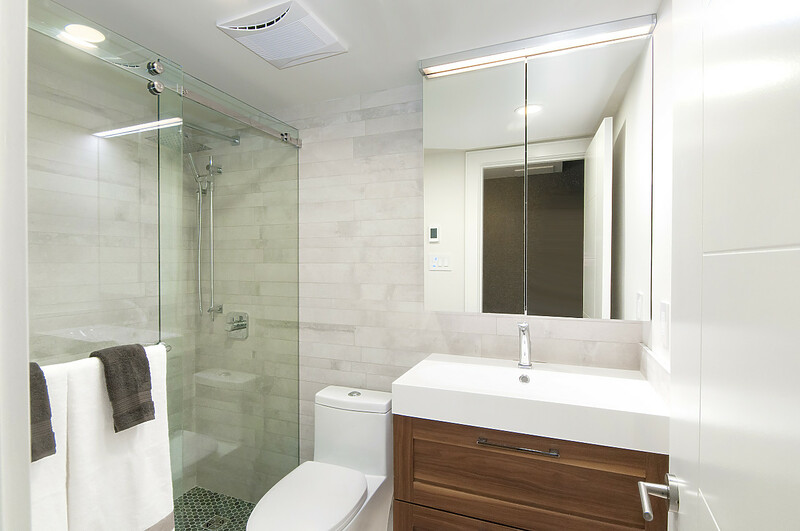 State of the art architectural details in subtle tones and colours have been combined with varying textures to create an inviting and ambient interior decor. 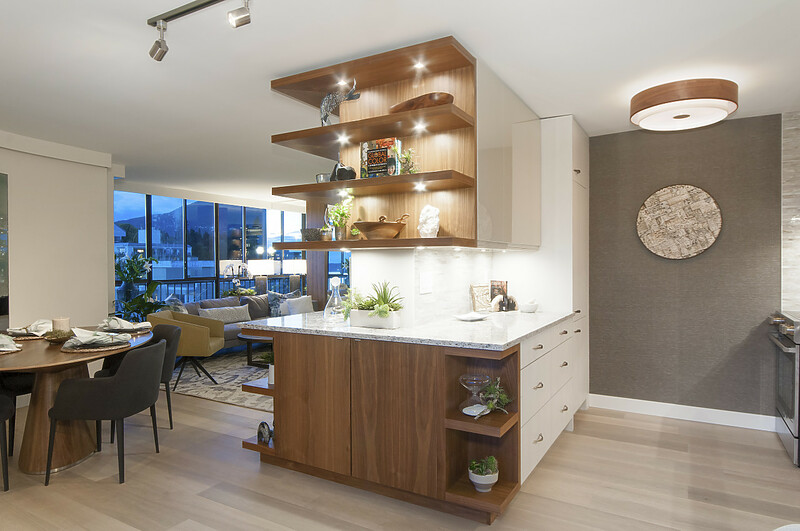 Custom walnut millwork, built-in desk, bar, and cabinetry to maximize space, mirrored feature walls capturing breathtaking views and wide planked engineered wire brushed white oak hardwood flooring in main living areas are just a few of the quality finishes that can be seen throughout. 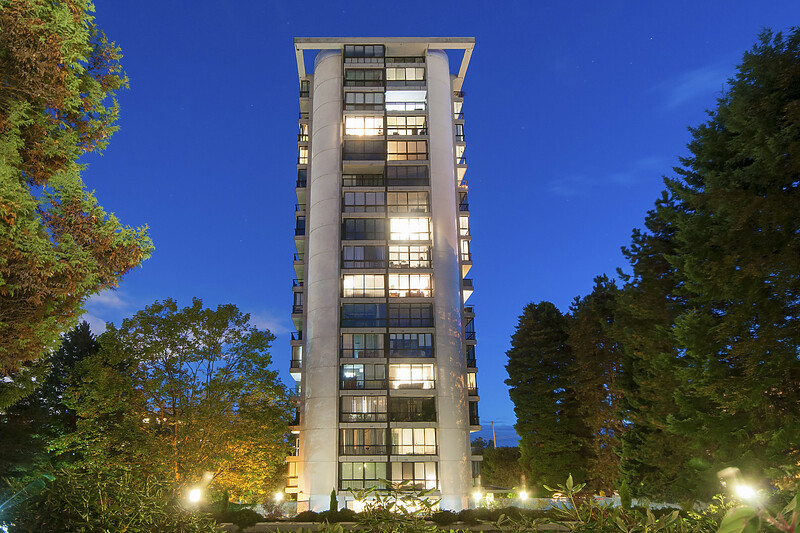 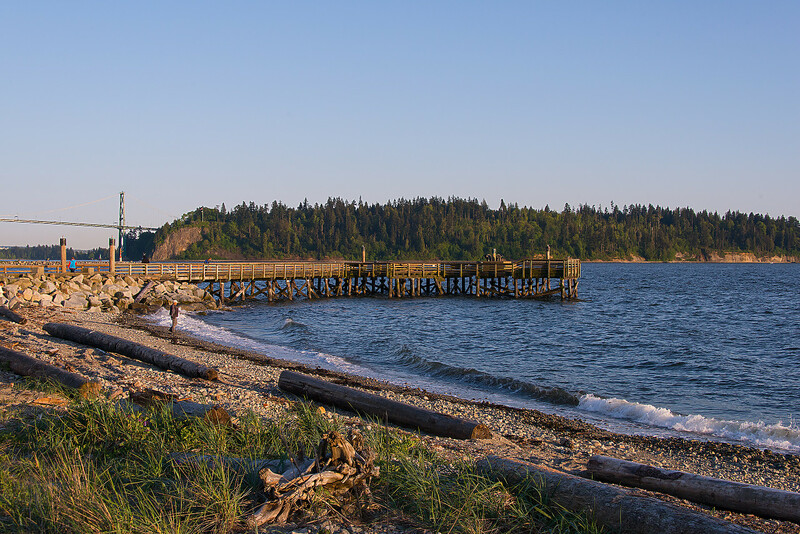 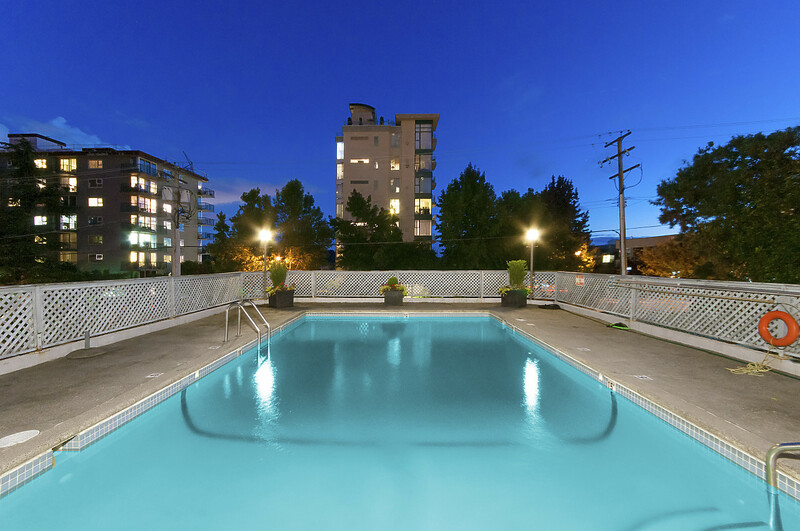 Discover this spacious condo in a prime location with million dollar views!